This sunny coast, washed by the Mediterranean and sheltered by the mountain ranges of Southern Spain, offers so much more than sun, sea and beaches alone. You will also discover ancient cities full of enchantment and hidden delights, pretty Andalusian mountain villages, glamorous yacht harbours and stylish shopping venues, a rich culture and gastronomy, and great natural beauty all around. The region has long been a popular year-round tourist spot, but more and more Europeans have followed the example of the rich and famous and settled here permanently or semi-permanently – drawn by a climate and lifestyle that knows no equals in Europe. 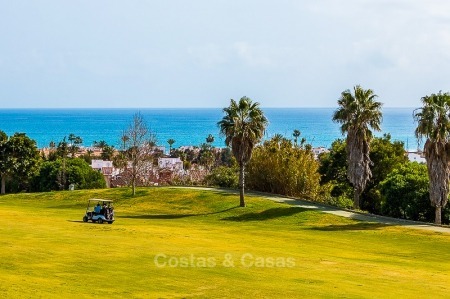 Let yourself be seduced by the many different aspects of the Costa del Sol. Enjoy our small sample of them. The best climate in Europe and one of the very best in the world. An average of 320 sunny days a year with a delightful micro-climate. Sub-tropical flora. Green all year round. No pollution or traffic jams and several natural parks. Broad and rich cultural life and inheritance. High and luxurious quality of life. Close to home, with daily, short and low cost flights. Warm-hearted, cheerful and helpful Andalusians. Almost everyone here speaks several languages. Largest amount of golf courses per km2 in the world. Stable and wide real estate market. The California of Europe with the safety and stability of the European Union.